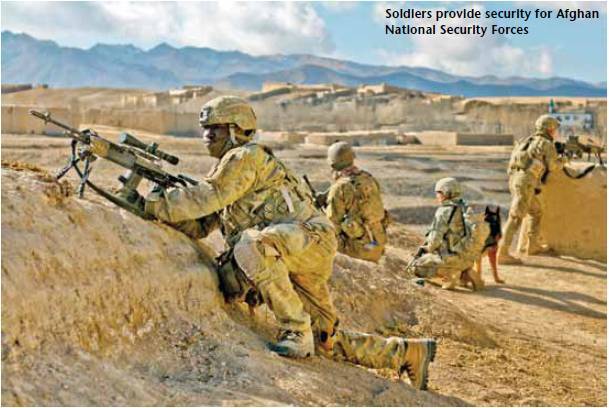 On a nearby desk the magazine PRISM, a publication of the Center for Complex Operations at the National Defense University, captured my attention for its numerous Afghanistan-related stories. One article from the December 2011 edition, “War Comes to Bala Morghab: A Tragedy of Policy and Action in Three Acts,” depicted ISAF as Keystone Cops when trying to influence Bala Morghab District in 2008-2009. The problem? ISAF completely ignored the ‘shaping’ aspect of the COIN strategy. Ultimately, they may have won a battle but lost a war. Nothing could more succinctly illustrate the beast created in Afghanistan. “Don’t let them fail” has been the battle cry; whether in training, equipping, personnel accountability, logistics, or operations, we have created a painful dependency. For our best and brightest military thinkers, overlooking the details isn’t nearly as painful as it is revealing. Tagged Afghanistan, Americans, COIN, Doctrine, ISAF, Lessons Learned, U.S. The Afghans are definitely resourceful. With billions of dollars available from through coalition efforts, there is no shortage of initiative and creativity. But what do “Frozen Lemons” have to do with construction? 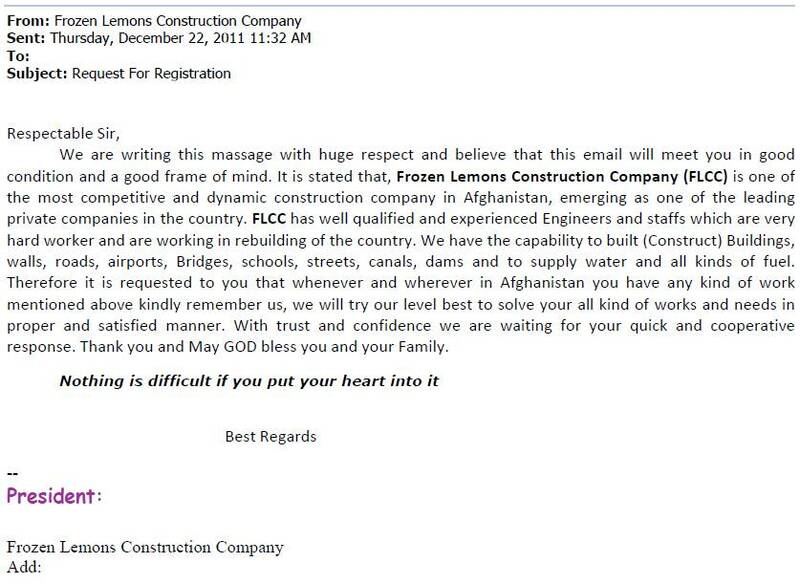 At least “Frozen Lemons” has a fighting chance in Afghanistan; naming your enterprise “The 39th Construction Company” would be a sure loser. Apparently, the slide below is not a joke about Afghanistan. 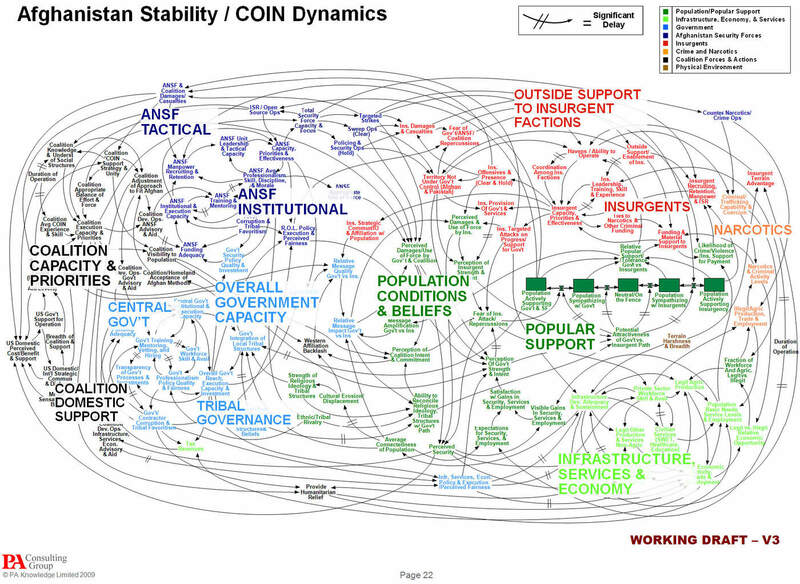 When I first saw it, I thought it was the organizational chart for ISAF. With news reports indicating the U.S. is financially committing to Afghanistan until at least 2024, we’ll have time not only to figure it out but to fully implement it. By 1969, pressure was on for U.S. forces in Vietnam to turn the war over to the host nation in a process now known as Vietnamization. While assisting South Vietnamese military forces, the United States armed and equipped them with modern small arms, communications, and transportation equipment—all items produced by and sustained from the U.S. industrial base. This modern equipment required an equally sophisticated maintenance and supply system to sustain it. Sustaining this equipment challenged the South Vietnamese economically and culturally, despite the training of several thousand South Vietnamese in American supply and maintenance practices. In short, the American way of war was not indigenously sustainable and was incompatible with the Vietnamese material culture and economic capabilities. South Vietnam’s predominately agrarian-based economy could not sustain the high-technology equipment and computer based systems established by U.S. forces and contractors. Consequently, the South military transformation was artificial and superficial. Many South Vietnamese involved in running the sustainment systems had little faith in them. Such attitudes encouraged poor administration and rampant corruption. After U.S. forces left and most U.S. support ended, the logistic shortcomings of the supposedly modern South Vietnamese military contributed to its rapid disintegration when the North Vietnamese advanced in 1975. From: U.S. Army Counterinsurgency Field Manual, 3-24, p. 8-10 (176/282), Univ. Chicago (2007).